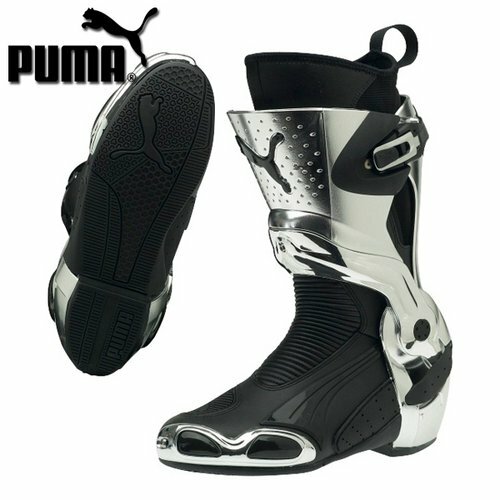 In their current third iteration, the Puma 1000 v3 Motorcycle Boots continues to improve with every update. The main upgrades in the current model, the v3, are improved safety, protection, cushioning and overall comfort. 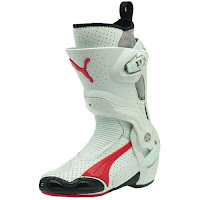 Drawing inspiration and assistance from MotoGP riders, the developers at Puma have created a pro-level boot primed for the trackday rider or the serious racer. Puma has always been known for their high-quality and extremely stylish footwear. In recent years they've forayed into the motorcycle boot world, creating stylish boots and riding shoes. With the Puma 1000v3 boot, they've cemented themselves as a serious player in the race boot market. The most impressive feature of this boot is the Ghost Doctor ankle protection system. There are medically defined angles that the ankle can bend to before suffering serious injury. The Ghost Doctor is an intelligent protection system that utilizes those "angles of no return" to limit the range of motion in all four directions. When the ankle reaches a potentially threatening angle, the Ghost Doctor goes to work preventing serious injury. You've also got the Exo Low 360º cockpit that wraps around and under the heel, shoring up stability and adding lateral impact protection. A Bifit footbed is constructed to increase flexibility in the foot while the liner is upgraded in flexibility making it easier to step in and out. Those are just some of the upgrades over the previous model of the Puma 1000 v3 boot. It's clear just by looking at a photo that the styling is there with the smartly placed logos and the full leather construction with elasticated paneling. 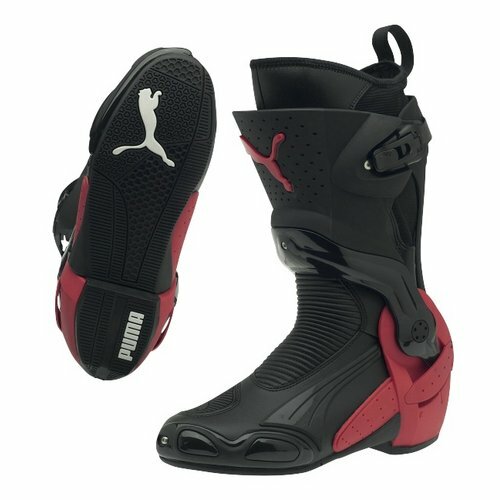 This boot is very impressive for the trackday rider. Also available in a vented version as the Puma 1000 v3 Vented Boots. You can see the rest of our selection in the motorcycle race boots section of RevZilla.com.